The U.S. Department of Agriculture offers a variety of programs to help low to moderate-income individuals living in small towns or rural areas achieve home ownership. The Rural Housing Service (RHS) helps qualifying applicants, who may not receive credit from other sources, purchase modestly priced homes as their primary residence. First of all, what is a guarantee fee and why should you even care about it? Guarantee and funding fees are paid directly to lending agencies like VA, FHA, or in this case, USDA. Government loans like these require lenders to collect these fees at closing in order to use the programs. This guarantee fee actually helps pay for the lending agencies and programs to exist. Therefore the result is these great lending programs, which offer low to no down payments, are made available to borrowers. Luckily for USDA buyers, the USDA guarantee fee 2018 is the lowest of the government loans (except disabled Veterans who are exempt from the VA funding fee). 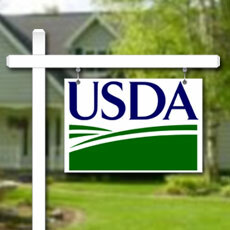 Additionally, the USDA guarantee fee is financed on top of the base loan amount. So the borrower doesn’t have to bring this fee to closing. Unless of course the buyer wants to. Overall, this means a lower payment and less money brought to the closing table! In addition to the upfront guarantee or funding fee, the USDA annual fee is also going to stay the same as 2017. This amount is .35% of the total loan amount. First of all, a common misconception is that this fee is collected once per year from the borrower. This is not the case. It just means that the monthly figure added to the payment is based on the new loan balance at each anniversary date times the .35% divided by 12 months.